Dr. Jeffrey Suffoletta and his team are dedicated to making your visit to the dentist worry and stress free. 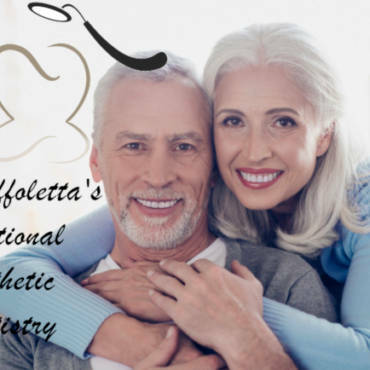 Dr. Suffoletta’s dental practice is able to provide quality dental services that are affordable thanks to the use of the cutting-edge technology that his practice utilizes. The dental industry is going through a major transition due to an aging baby boomer population in the United States. The demand for treating gum disease, teeth whitening, teeth cleaning, veneers, implants, Biolase laser dentistry, crowns and Invisalign are just a handful of the treatments that are increasing as a result. Most patients must wait an average of three weeks to receive a dental crown at most dental practices. Fortunately, for the local community of Las Vegas and the surrounding area, patients of Dr. Jeffrey Suffoletta do not have to wait for their crowns to be placed. Dr. Jeffrey N. Suffoletta uses CEREC technology which allows him to provide same day restorative dentistry to his patients. With this state-of-the-art technology all you need to do is make an appointment and show up. You now have the convenience of leaving your appointment with a beautiful smile all on the same day. 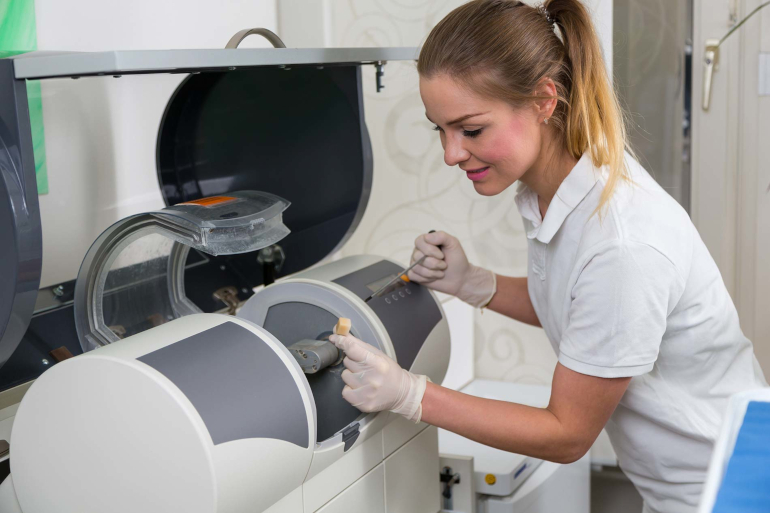 CEREC Technology is a state-of-the-art 3D digital imaging camera system used to create an optical impression of your tooth. The digital image replaces the physical impression used in traditional procedures. CEREC Technology also eliminates the need for impression trays in your mouth. Dr. Suffoletta provides his patients with excellent quality dental work in a few hours versus a few weeks. 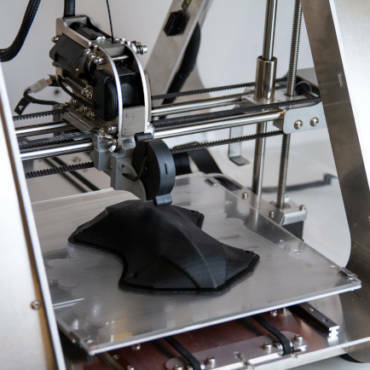 State of the art computer aided design software allows the Suffoletta team to design each individual detail of your restoration with precision. 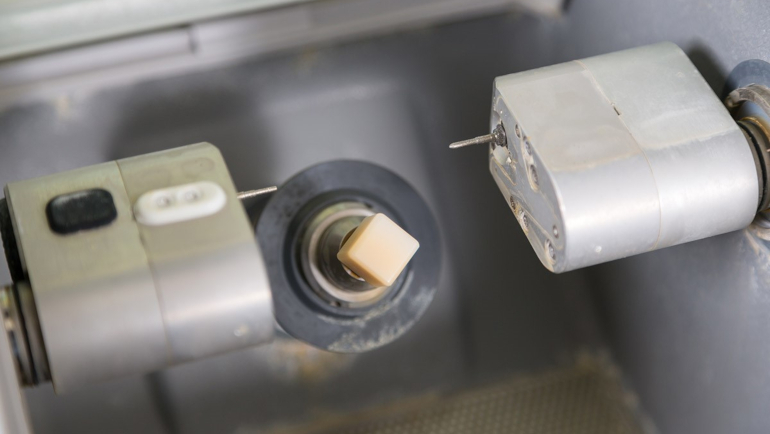 Your customized details of your teeth are sent to an on-site milling machine that produces the tooth restoration. A few minutes later the restoration is ready, color-matched and placed. After being accurately fitted, bonded for strength and polished, the tooth is restored back to its natural form, function, and pleasing aesthetics. Office Hours (Monday-Thursday 8:00 a.m.–5:00 p.m. and Friday by appointment only). Dr. Suffoletta’s Functional Aesthetic Dentistry provides easy access to communication with his team via social platforms as well. Visit his Facebook for direct messaging and visit his website for appointment setting.